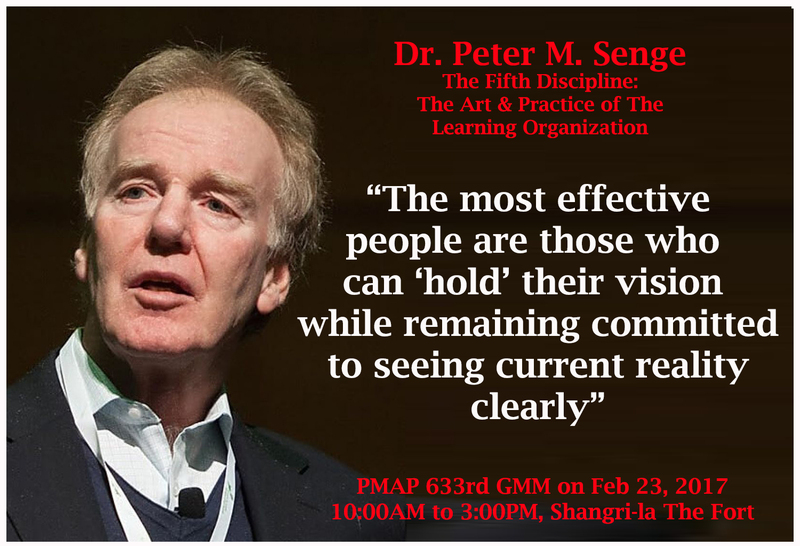 The People Management Association of the Philippines (PMAP) welcomes Dr. Peter Senge, Ph.D. as one of the guest speakers on its 633rd General Membership Meeting (GMM) at Shangri-la Hotel the Fort, BGC on Februrary 23, 2018 , 10:00 AM – 3:00 PM . One of the world’s widely known innovative thinkers about management and leadership, he will talk and share thoughts about his book “The Fifth Discipline.’ This is a great opportunity for Filipino People Managers and individuals to learn more from him. Dr. Senge is a Senior Lecturer at the Massachusetts Institute of Technology (MIT) Sloan School of Management and the Founder of the Society for Organizational Learning (SOL). He received his B.S. in Aerospace Engineering from Stanford University and later earned an M.S. in social systems modelling from MIT as well as a PhD in Management. His book “The Fifth Discipline” in which he identified the notion of a learning organization was recognized by Harvard Business Review as one of the seminal management books of the last 75 years. With his work, he was dubbed as “Strategist of the Century” by the Journal of Business Strategy. Other works are The Fifth Discipline Fieldbook (1994); The Dance of Change (1999); Schools That Learn (2000) and Presence (2004). PMAP will be opening its doors to welcome members and non-members to have this once in a lifetime chance to be part of this learning event from one of the world’s guru in management. 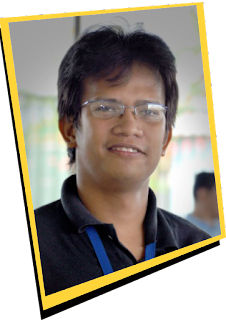 Investment fee per delegate is Php5,500.00 for both members or non-members. Register now or pay through paypal.